Our Miami Beach Oceanfront hotel is a flashback to the glory days of South Beach: the Hollywood-ready scene brings you back to the era of substance and style in Miami Beach. 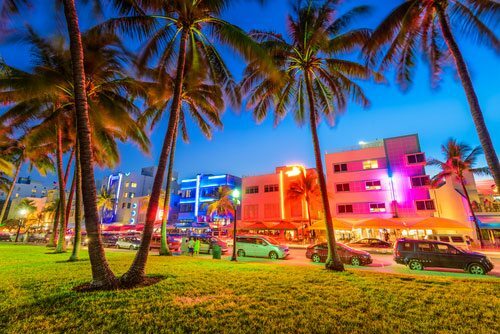 Our convenient location puts you near the best and brightest destinations in South Beach and Southern Florida, tucked right into Ocean Drive and Collins Avenue. Because of its excellent location, The National Hotel Miami Beach is the ideal choice for seeing what the greater Miami and Miami Beach area have to offer. For additional details, to book tours, or for transportation information, please contact our concierge staff at 305-423-7211 or concierge@nationalhotel.com.